Life in Tudor England was much different to life today. 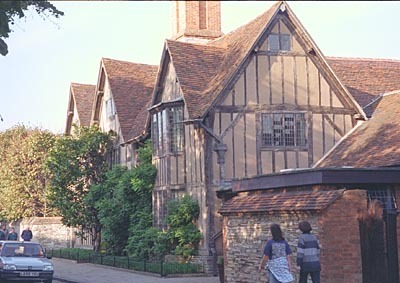 We have listed with the asistance of the Shakespeare Birthplace Trust much reference material to Elizabethan Life, Food, Flowers, Costumes, Medicine. 'The Plant-lore and Garden-craft of Shakespeare', Henry N. Ellacombe. Printed for the author by William Pollard, Exeter, 1878 (and reprints) - Describes all the plants mentioned by William Shakespeare and quotes his references to them. 'The Development of Natural History in Tudor England', F. David and J. F. M. Hoeniger, University Press of Virginia, for the Folger Shakespeare Library, Washington, DC 1963. (Folger Booklets on Tudor and Stuart Civilization) This describes some of the main herbals. 'English Naturalists from Neckham to Ray..', Charles E. Raven, Cambridge, 1947. This includes chapters on: William Turner, John Caius, Thomas Moffet, John Gerard, John Parkinson, Thomas Johnson and others. 'The Olde English Herbals', Eleanor Sinclair Rohde, Minerva Press, 1972 (First Published 1922). 'Shakespeare's England', Oxford, Clarendon Press, 1916 (and reprints) Chapter 12: Agriculture and Gardening.